Three experts whose work focuses on issues related to climate change discussed whether it’s possible for the U.S. to eventually get its electricity from carbon-emission-free sources — and what that might look like. 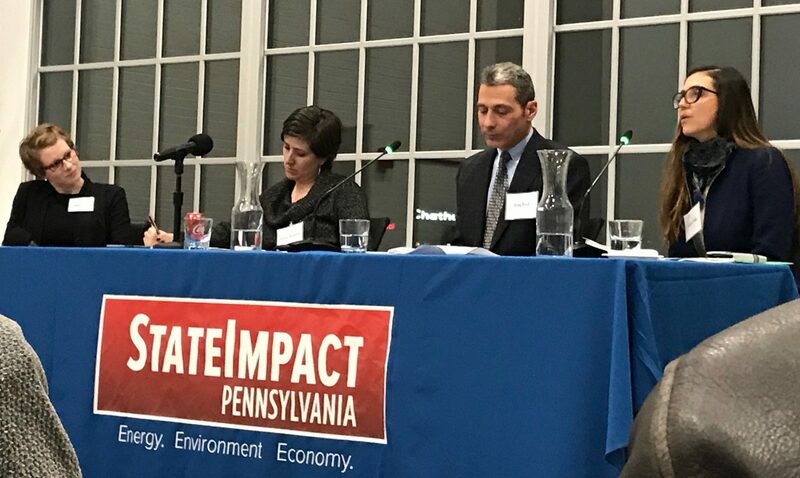 Paulina Jaramillo, Ivonne Peña and Greg Reed spoke with moderators Reid Frazier and Amy Sisk, two StateImpact Pennsylvania reporters who moderated the panel at “The future of energy: Can we get to zero carbon?” at the Energy Innovation Center in Pittsburgh on Tuesday night. 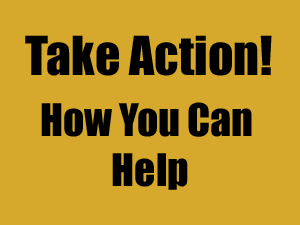 An estimated 140 people attended the event, produced by StateImpact and partners WESA and The Allegheny Front in coordination with the EIC. >>> Greg Reed is a professor of electric power engineering at the University of Pittsburgh’s Swanson School of Engineering, and director of Pitt’s Center for Energy and the Energy GRID Institute. His research has focused on topics including advanced electric power grid and energy generation, energy storage and micro-grids. He was asked why it’s important to address a global issue on a local scale and talked about Pittsburgh’s involvement in the District Energy Initiative, a “concept of a grid of microgrids in and around the city of Pittsburgh, where we can look at building in sustainability, resiliency, reliability, and security into our grid infrastructure, especially at the local distribution level. >>> Paulina Jaramillo is an associate professor of engineering and public policy at Carnegie Mellon University and co-director of the Green Design Institute. Her research has focused on life cycle assessment of energy systems with an emphasis on climate change impacts and mitigation research. She was asked to weigh in on Gov. Wolf’s ambitious goal to reduce the state’s greenhouse gas emissions 26 percent by 2025, and 80 percent by 2050. 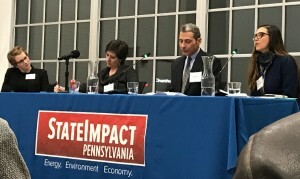 Jaramillo said there’s a difference between the energy sector and electricity, and that “decarbonizing Pennsylvania is not just about decarbonizing the electricity sector.” The latter, she said, is “actually the low-hanging fruit.” The challenge is the transportation sector, including trucking, trains and air travel. But when the discussion is to electrify everything, she said, the problem is how to electrify airports or long-distance shipping, for example. Hydrogen could be a way to “electrify those sectors that are hard to electrify,” she said. “We probably are going to need hydrogen to get to some of these hard to decarbonize sectors,” she said. >>> Ivonne Peña is an energy analyst who is passionate about the dilemmas countries face in their electricity sectors, including making them more climate-resilient, meeting demand and reducing carbon emissions. She has worked for the National Renewable Energy Laboratory in the U.S. and Colombia’s Energy and Gas Regulatory Commission. If there’s one idea or technology that has her excited, she said, it’s batteries. This is lots to consider in getting to Zero. Long distance movement of food is another contributor. Grain production is concentrated in the Upper Midwest and is heavily mechanized, for example. Winter food from Mexico and Central America even the East Indies make a contribution. Another area is off-road machinery, such as pipeline, road, mining and farming equipment. They require a lot of energy. Coal fired electricity is a significant problem. A third is the military, with tanks, movement of supplies, ships, airplanes. Look who many of our national enemies are: Iran, Russia, for starters, and look what we do in Libya and Venezuela, Nigeria and many others. Look what we put up with in Saudi Arabia. Military power depends on oil products. This generates CO2 and other pollutants.